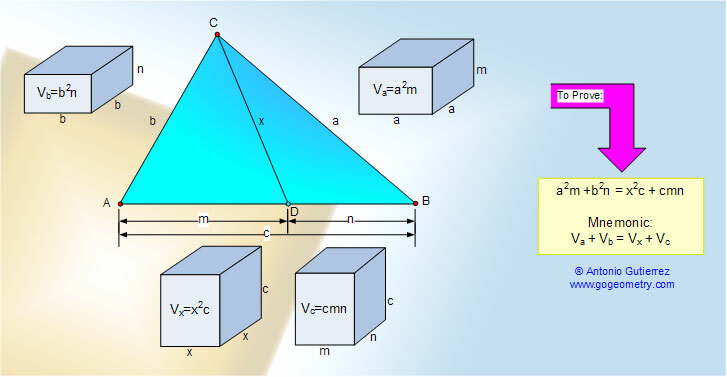 Math Education Geometry Problem 805: Stewart's Theorem, Triangle, Sides, Cevian, Metric Relations, Measurement. Level: High School, Honors Geometry, College, Mathematics Education. Distance learning. Let be given a triangle ABC and a point D on AB such that m = AD, n = BD, and x = CD. Then Stewart's theorem, also called Apollonius' theorem, states that: .